American students are failing civics and U.S. history badly. 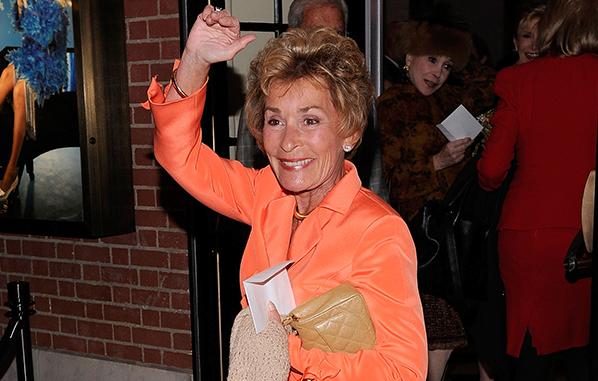 Ten percent of college grads think that TV Judge Judy is a Supreme Court justice. In its Crisis in Civic Education report, the American Council of Trustees and Alumni surveyed recent grads and the public at large on questions drawn from standard high school civic curricula and found that knowledge of our founding, history, and basic workings of government is abysmal. ACTA is a nonprofit organization committed to academic freedom and excellence and includes on its Council of Scholars author KC Johnson, Emory English professor Mark Bauerlein, and classics professor Molly Levine. ACTA found that 28 percent of recent grads identified James Madison as the Father of the Constitution, whereas nearly 60 percent thought it was Thomas Jefferson. More than half of college graduates didn’t know how to amend the Constitutions. Almost 40 percent didn’t know that Congress has the power to declare war. As for Congressional terms, almost half of recent grads didn’t know that senators are elected to six-year terms and representatives to two-year terms. When compared with college graduates over age 65, the poor performance among recent graduates is even more stark. Some 76 percent of older college grads knew how to amend the Constitution compared to less than a third of those aged 25-34. America was founded on an idea that human fulfillment is to be found in liberty and self-government... Our civic values will fail unless they are constantly renewed through an education that prepares each generation to participate in a democratic republic and to understand the struggles, past and present, that sustain our liberty. Sometimes, critics see civics as a jingoistic attempt to insist that America is unblemished and to hide our nation’s darker moments and failures. Nothing could be further from the truth, as thoughtful civic educators have made clear... We can address the fault lines and the insufficiencies of our nation. But without informed civic consciousness, we lose our ability to disagree but still be partners in American self-government and find solutions that transcend ideology and faction. Moreover, we draw insight and inspiration from understanding the difficult path our nation has traveled to hold those freedoms. · States should mandate outcomes assessments in civic education and tie public funds to schools’ fulfillment of these mandates. · Students should seek out colleges that offer a coherent general education program that is well grounded in the liberal arts, including American history and government. They should avoid colleges that allow a grab-bag approach to general education. According to Newsweek, 40 percent of the unemployed population is made up of Millennials, and 2.8 million more college graduates flooded the job market last spring. Yes, it's fun to think of a SCOTUS Dream Team made of of Judge Judy, Judge Milian, Judge Faith, Judge Mathis, and the trio from "Hot Bench," although with Judge Wapner for good measure (yes, he's still alive). Just don't bring it up in your job interviews.